RaceFlux's reusable hose end fittings swivel on both ends for ease of installation and feature redundant fluoroelastomer (FKM / Viton) O-rings for maximum fluid compatibility and leak-free performance. All 90-degree, 45-degree and straight hose ends are machined and formed from a single piece of aluminum and are completely free of welds and brazes for extra strength and reliability. 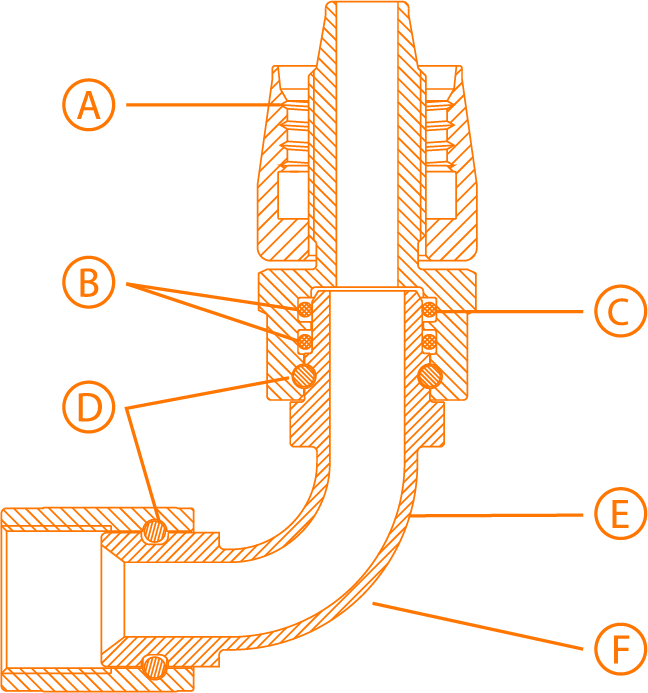 Hose ends feature a unique left-hand threaded socket which securely retains the hose while tightening. No more backed out hoses during assembly! All RaceFlux fittings are machined from lightweight 6061-T6 aluminum and MilSpec Type II anodized in black for durability. For use with any standard braided AN hose, including RaceFlux RH1 lightweight braided racing hose.